If you've been looking for that perfect family-friendly, mid-size sedan that has all the latest features, then look no further than Vista Volkswagen of Pompano Beach. We have a great selection of Volkswagen Passat models available. Feel free to come in and browse our inventory today, and let one of our friendly and knowledgeable team members show you all the Volkswagen Passat has to offer. Vista Volkswagen is your premier VW dealership, proudly serving all our family and friends in Pompano Beach, Fort Lauderdale, and Coconut Creek, FL. The 2019 Volkswagen Passat gives you the ability to connect with your compatible smartphone. Simply plug in a compatible device via USB and watch the available apps from your smartphone appear on the center touchscreen of your 2019 VW Passat. With Apple CarPlay™, you can connect to your Apple Maps application and ask Siri® to give turn-by-turn directions to your favorite destinations. You can also text, make hands-free calls and control your entertainment - all through the center touchscreen display. 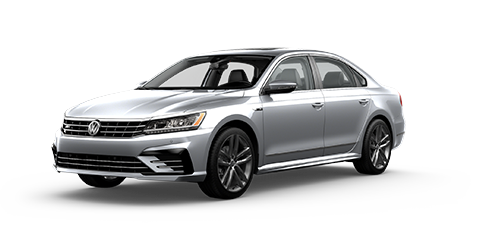 The 2019 Volkswagen Passat is also compatible with Android Auto™, so you can use the Google Maps™ application for your navigation system. Through this system, you can also answer calls and send messages via voice control. Plus, you can manage the compatible entertainment apps available on your Android® phone. SiriusXM® satellite radio is also available and provides entertainment the whole family will love, including some of the best selection of music, sports, news, comedy and entertainment channels. For an enhanced audio entertainment experience, you can upgrade to the available Fender® premium audio system. This 400-watt audio system has the concert-quality sound that everyone can enjoy. We all want that extra assurance that comes with knowing your new investment is protected. With the available Volkswagen Car-Net Security and Service, you can have that added piece of mind thanks to the ability to access key features of your vehicle remotely via a mobile app on your smartphone. This Remote Vehicle Access app allows you to see the active status of your Volkswagen Passat at all times. You can also lock or unlock your doors, make the vehicle honk or flash its lights, find where your vehicle is parked via GPS, or you can even send directions directly to the navigation system. The Car-Net® Safe and Secure features in the Volkswagen Passat can also help you in your time of need. It can send an Automatic Crash notification to agents or allow you to manually call for roadside assistance or emergency assistance. It even offers stolen vehicle location assistance. All these features are there to give you the added comfort of knowing you're taken care of every step of the way. While the Car-Net® Safe and Secure features offer peace of mind while away from your Volkswagen Passat, the vehicle also comes with an array of available driver-assistance features for even more added convenience and safety while driving the vehicle. The adaptive cruise control feature helps you maintain the vehicle's speed based on a preset distance to the vehicle that is in front of you. If the car in front slows down the vehicle will detect the change of speed and adjust accordingly. Volkswagen truly puts your safety first in the Volkswagen Passat. Schedule a test drive at our Volkswagen dealership today. We offer The People First Warranty with every new vehicle purchase which covers 6 years or 72,000 miles whichever comes first. If your warranty term has not been met before you decide to sell your VW Passat then the limited warranty transfers to the new owner at no cost to you. See Vista Volkswagen for more details on The People First Warranty. 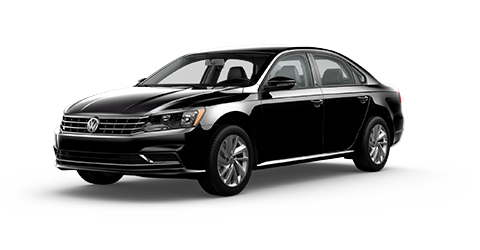 If you would like to see all of the great features the Volkswagen Passat has to offer, then simply schedule a test drive by calling 954-280-6912 to talk with one of our team members, or you can stop by our dealership. Friday - Saturday: 9 a.m. - 7 p.m. If you're not sure if you would like to take out a new car loan or a new car lease on your Volkswagen Passat, then our financial team can help you determine the best option that makes sense for your daily lifestyle. Vista Volkswagen of Pompano Beach proudly serves all customers in Fort Lauderdale, Coconut Creek and surrounding areas in Florida. Visit us today!